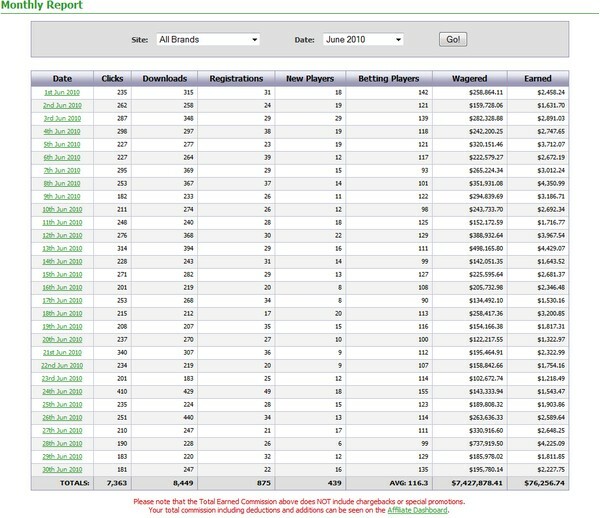 Below is the Monthly Report showing Clicks, Downloads, Registrations, New Players, Betting Players, Amount Wagered and Amount Earned for each day. Click the date for a full report for a particular day. You can also choose a casino and month to display in the drop down boxes above the stats table.